Iconography - carvings, engravings, etc. In particular we have drawn heavily on the Abington carving and the Gresley and arbeau manuscripts, as well as the research of Mike heaney and John Forrest. A series of vigorous dances, in which the knights compete for the affections of the lovely ladies. The dances are linked by a dramatic and humorous narrative that helps the audience to understand the role and symbolism of the dances. 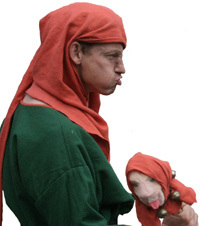 The fool and/or jester provide interaction with the audience, drawing them into the story. 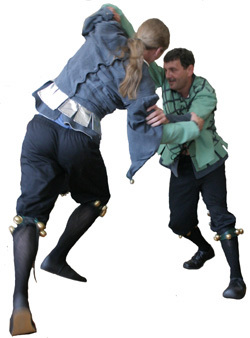 We also have a number of social dances of the period that involve both the men and women of the court.